Here are some ridiculously expensive gifts given by Our own celebs to their loved ones, which will leave you feeling extremely poor. A house was gifted to Reema Khan by her mother-in-law at time of her wedding . Reema also received a BMW 7-Series car from her husband as a wedding gift. I think Reema is one of the most luckiest actress of history,who get love of in every field. She live a dream life, Now she has a son , and she is living in America along with her in laws. Rambo gifted a house to wife Sahiba before they got married.Rambo said in his interview that he lack money to build house for Sahiba so he requested Reema Khan to help him and Reema give her 2 lack pkr to build house. Rambo does not want to prove that Nisho jee was a greedy person but she was concern about her daughter that why she demand for house . Sheen Javed married to civil engineer in Lahore last year . according to news her husband’s father is close friend of former prime minister. Before marriage her in laws gift her a big house in Garden Town Lahore. Sheen has celebrate wedding anniversary , Her best friend Jana Malik was there. Bilawal House located in Lahore is said be a gift for Zardari from property tycoon Malik Riaz Hussain.Bilawal House is spread over some 200 kanals or 25 acres. Bilawal House is located about 1.5 km from former premier Nawaz Sharif’s palatial residence at Raiwind Road that is spread over 300 acres that has a mini zoo and is ringed by orchards and agricultural land. 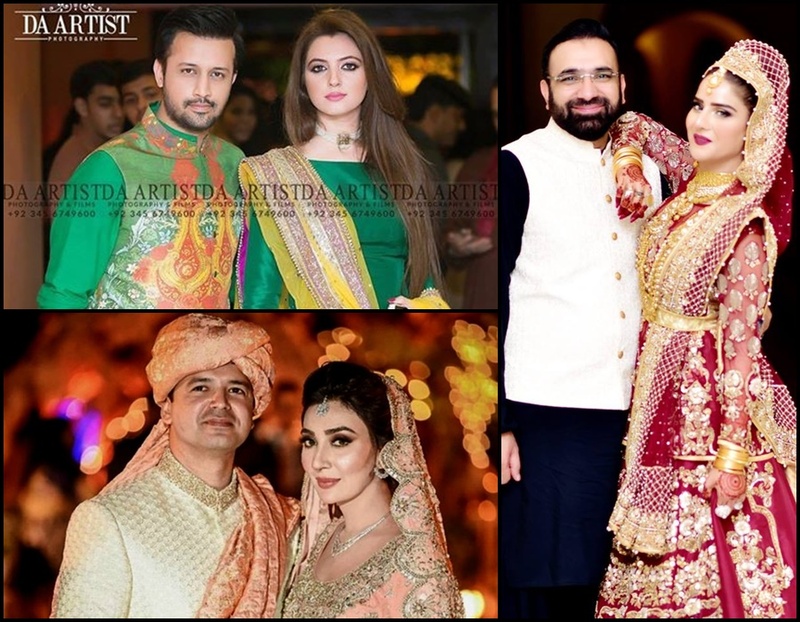 Aisha Khan wears necklace worth 30 lac on her wedding , it was a gift to her from her in laws. According to news Aisha khan got this present from her in laws. it was the most expensive wedding of this year.